Fradella Adventure Tarot combines powerful images with a fantastical approach to true tarot. A unique collection of imagery features characters from the Cyber Age Adventures universe. The art is rendered in a fantasy comic book style with a cast of heroes and villains. 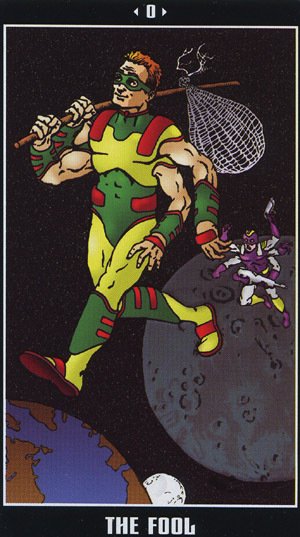 The minor arcana suits are creatively depicted as Blades, Masks, Staves, and Discs.